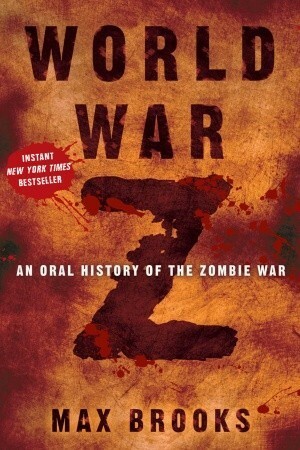 I read this WORLD WAR Z for eight long months. Yes, you read it right. It was one of my books-in-a-bag and I’ve been changing bags weekly and on weekends, so there [or this sounds like a lame justification for my slow reading pace, so yeah]. So, the book. I liked it a lot. The stories presented a horrific time probably worse than past world wars. The narration made me feel lucky that I wasn’t there to endure it. The survivors-slash-interviewees, though not everyone was likeable, were waxing poetic over their different journeys. I admit there were parts I did not gloss over as much, mainly those that dealt with actual tactical military operations, complete with ammunition and warcraft terminologies. I am just not into those kind of details. But I tried to understand what happened in each event because the book’s narration has that ability to tie itself back to the entire zombie apocalypse picture regardless of slight deviations. If only for these return-to-the-plot storytelling, I feel I did not lose a lot by not being interested in those matters. I tried remembering the characters but eight long months did not bode well with this endeavor. There were standouts though – I can say that the most unforgettable stories to me were that of the blind Japanese, another Japanese who escaped building by building, until he got a place of refuge [with the former], and the female Air Force pilot suffering from hallucinations [or not?]. One of the things I cannot forget is an intelligence officer’s account; not so much the character but what they were asked to do: to leave the civilians with the infected ones by blowing up connecting roads so they will be isolated. That was a way out but practically an equivalent of genocide. I stumbled upon a site with a rundown of the characters and brief descriptions for each. Feel free to read if you wish to be spoiled about the book, or have a file to refer to in case you have read the book for a long time and you forgot many stuff you read about *ahem*. The book touches on social and political matters and how governments are handling tragedies. Some act for the benefit of their people, some for the upper class and high-ranking bureaucrats, some become rogue enough in order to survive. If we take away the zombie element of this book, this will still be ripe with interesting issues, particularly for those who are into war stories and extreme survival tales.